Show off your style with this beautiful piece from American Standard. Redo the look of your bathroom with this beautiful dual-control faucet. Make your bathroom look like new with this item's deck mounted design. Save water and get the same clean with this WaterSense certified faucet. You wont find a better way to add a little flare or give your bathroom a complete look than by adding new faucets. Pick from several spout designs, then mix and match with just as many handles. Create a style that suits your taste, and you have a bathroom that is uniquely yours. Update the look of your bathroom with this high-class, useful piece from American Standard. Finish up your bathroom remodel with this beautiful single-control faucet. Its deck mounted design fits with many sinks and isn't hard to install. This faucet is also WaterSense certified to help you and the environment stay clean. Taking inspiration from Japanese designs, the Green Tea collection is the perfect blend of minimalist design and ergonomic comfort. Constructed with pure lines and straightforward forms. Also available in store by special order only see store for details. 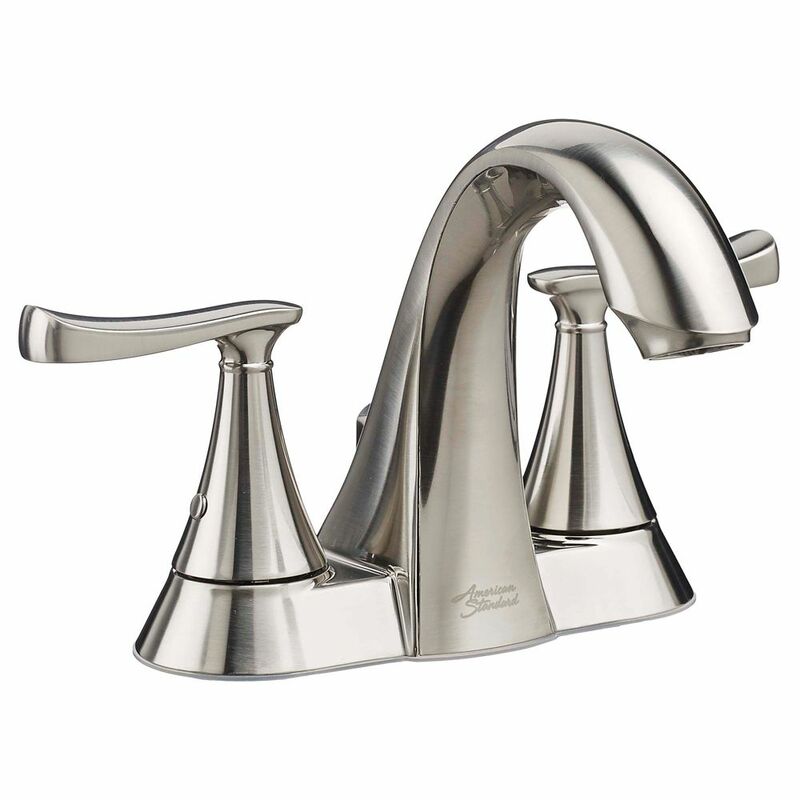 Chatfield Centerset (4-inch) 2-Handle Mid Arc Bathroom Faucet in Brushed Nickel with Lever Handles Show off your style with this beautiful piece from American Standard. Redo the look of your bathroom with this beautiful dual-control faucet. Make your bathroom look like new with this item's deck mounted design. Save water and get the same clean with this WaterSense certified faucet. Chatfield Centerset (4-inch) 2-Handle Mid Arc Bathroom Faucet in Brushed Nickel with Lever Handles is rated 4.5 out of 5 by 158. Rated 5 out of 5 by javelar619 from Easy install. Once installed it is a beautiful finish that matches all the fixtures in the bathro... Easy install. Once installed it is a beautiful finish that matches all the fixtures in the bathroom. I'm impressed. Rated 5 out of 5 by HomeownerIM from This faucet was easy to install. The piece was average and the quality was also. Having just inst... This faucet was easy to install. The piece was average and the quality was also. Having just installed it, it has giving no problems . Rated 5 out of 5 by Jeepguy14 from Very stylish faucet. Easy to install. Clean looking and water... Very stylish faucet. Easy to install. Clean looking and water flows great.